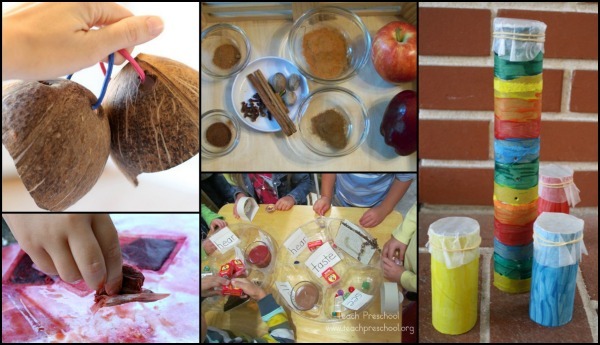 Last week our Discover and Explore team asked our fellow bloggers to share ideas for exploring the five senses. We had so many wonderful activities linked up that it was difficult to pick just a few. I hope you enjoy these posts as much as I did! And the fun never stops as we continue Fun Friday over on the Teach Preschool Facebook Page. I invite you to come check out what our fellow bloggers are sharing this week! To see what others are sharing, you must be viewing a desktop version of the Teach Preschool Facebook Page. From the Teach Preschool Facebook Page, click the tab just below the header that says Highlights. Then click on Posts by Others. We will be sharing a few of our favorite posts on our wall throughout the day. I hope you have a fantastic Fun Friday!